Will, who was delightful, warm, funny, and extremely smart (see here), passed away suddenly last week. I'll really miss him. I met him when I was still at Ohio State, and we worked together on the American Board of Certification. He was a natural leader and modest as all get-out. His obituary is here. I've been following the stories about Karen Rothenberg's current troubles over some payments made to her while she was Maryland's dean, and two particularly good posts are here and here. I don't know Karen that well, but I certainly saw her in action, and I found her to be extremely energetic and committed behavior. Were the payments authorized? I'll bet that they were. Were they vetted thoroughly beforehand? Who knows? Should academics get those big salaries? Maybe not, but as the Feminist Law Professors post points out, Karen probably found herself in the crosshairs of all of those folks who are angry at Wall Street bonuses as well. All I know is that being in the public eye is sometimes really, really miserable, and that Karen has my sympathy right now. Thanks to my home Google page, I read TaxProf Blog regularly, so I clicked on the links (see here and here) to the National Law Journal's Law School Report (here). The basic methodology: "[NLJ has] ranked the top 50 law schools by the percentage of 2009 juris doctor graduates who snagged jobs at NLJ 250 firms by Sept. 30, 2009." What I like: the ranking at least gives users some useful information about the link between going to a particular school and how many of that school's grads go to BigLaw; my alma mater (Stanford) did well, even though many older grads (25th reunion this year!) are BigLaw refugees; and there are thoughtful articles that accompany the report (see Emily Spieler's thoughts here). The only drawback is that some newer schools (think Boyd) won't make the cut for a while, if ever: we're still new-ish, as law schools go (in two more years, the school could have a Bar Mitzvah), and we don't have the benefit of having a plethora of branch offices of BigLaw firms in Nevada, although we do place graduates in many other states. All in all, though, the Law School Report makes for juicy reading. Will the crash in BigLaw hiring be a boon for lesser-"ranked" law schools? We won't know for a while, but if some law schools didn't place a lot of their grads in BigLaw firms before the crash, and the graduates at those "lesser" schools find more jobs than those do who hail from "elite" schools, will we see a big change in the USNWR rankings in a couple of years, when the data from the placement crash play out? You know you've been in legal education a long time when . . .
You remember being dean at Nebraska and helping to hire someone who is now the incoming dean at Nebraska. 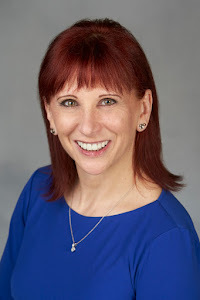 Congrats to Susan Poser (see here)! See the commentary and the comments to How to Write an Incendiary Blog Post (here). The post refers to the original full article in the Boston Globe (here), but I got a huge kick out of the comments to the post on PrawfsBlog. Hat tip to that blog and to my buddy Bernie Burk, who sent me the original BG version a while back. This sentence says that I know you won't publish this comment, but you neglected to consider a point that is not even germane to the post. This sentence makes it clear that I'm very angry because there is some trivial difference in our world-views. This sentence is not self-referential except to the extent that it is. Bravo to Paul Horwitz for the post! I hate bullies--especially anonymous ones. Just got a nastygram today from RoastMail (meaning that the sender wasn't brave enough to sign his or her own name to the email). The person, in the guise of being concerned about professionalism, suggested that I was cluttering up everyone's inboxes with my congratulations when people at Boyd did something praiseworthy. Please read and heed the subject line. Everyone at Boyd (especially because we are lawyers/law students) would probably like to throw in their two cents and congratulate whoever deserves congratulations, BUT can you imagine what a mess our inboxes would be if we all gave in to our desires. Besides it being rude and unprofessional, it's just downright annoying to see a reply to every announcement regarding our school/faculty/students. PLEASE, out of professional courtesy, keep your personal comments off the email server. Tell you what, anonymous roaster---let me put this up to the whole faculty. I'm happy to bow out of congratulatory emails, if my colleagues would prefer that. But I would have had more respect for you, whoever you are, if you'd had the courage to sign your name. I'll let readers know which way the faculty goes on this issue. If I'm really annoying people, then I'm happy to lay off the congrats, even though my guess is that most people feel underappreciated and could use some well-deserved congratulations. * But I truly hate bullies and cowards, having had enough experience with those to last a lifetime. Had this person had the courage to come into my office, shut the door, and express his or her view to me directly (or even in a private but signed email), I would have felt bad that I'd annoyed the person, I would have apologized to him or her, and I'd have gone to other colleagues to ask them if I really was irritating the crud out of my colleagues. But that's not what the person did. If it's important enough to send a nastygram, it's important enough to sign it. And I'm going to assume that this person who sent it to me isn't a student, due to the salutation using my first name. Readers: are we at a point when praising others is a bad thing? * See Kent Syverud, Three Principles of Effective Deaning, 31 U. Tol. L. Rev. 751 (2000). Musings about an essay that I'm writing. Posted at Voir Dire (here), where I'm guest-blogging this month. Comments gratefully accepted. Thanks! One of the many reasons that my friend Bernie Burk ROCKS! It seems to me that the interesting question here is how this set of preconceptions differs, if at all, from the dynamics of blame in our culture more generally. Blaming someone for something publicly is a serious thing. Just think of how surprised, upset and defensive you feel if someone accosts you at Starbucks and announces that you just cut in line. With various caveats and perhaps a general reservation about rushing to judgment, we also generally assume that people don't make accusations of any kind without some colorable basis for doing so, even though daily experience provides counterexamples without number. These somehow prove the rule by exciting our outrage at levelling a false accusation, however trivial: exCUSE me, I was standing here in line when I saw you walk in the door over there. Law students walk into torts class lay people. Small wonder they share the general culture's views about the dynamics of blame and vindication as they play out in the very public forum of litigation. The dissection of claim from liability (with all the slips between the cup of one and the lip of the other) is one of the innumerable counterintuitive wisdoms we internalize in learning to think like a lawyer. And by the way, a principal challenge of the trial lawyer is learning to think like a person again. More kudos for David Dow. Check out this book review (here). I'm sad about the NASA budget cuts. And I'm not the only one (see here). There is not enough space on any blog to list all of the gifts that NASA's research and mission has given us throughout the years. I'll be eternally grateful for all that NASA has done so far, and I just hope that NASA will get the opportunity to thrive in the future. Another subscriber to the Van Niel mortgage proposal. A while back, I described the Van Niel mortgage proposal (here). In today's column by John L. Smith (here), he's endorsing that proposal. It's not a groundswell for the proposal (yet), but perhaps, someday, we'll see more people recognizing that modifying the principal amounts and giving the banks a share in any short-term profits on resale is the right way to go. Does higher education have some explaining to do? -- Why are higher education officials and lawmakers giving a moment's thought to closing Nevada State College at Henderson when its students actually make progress toward degrees and graduate in large numbers, while most UNLV undergraduates drop out? -- How much research at UNLV and UNR is funded by taxpayers to explore professors' personal interests, when those professors could be teaching classes instead? In this economy, and with the sacrifices UNLV and UNR face, is it really that unreasonable to ask faculty to suspend all research that isn't self-funded? Let's take these two questions together. Assuming that Mr. Cook's stats are correct--and I have no independent info, one way or another, about the graduation rates of either Nevada State College or UNLV--his questions actually illustrate why we need a strong community college system and a strong research university system. Community colleges and research universities serve different purposes. In my mind, the mission of community colleges is access. Excellent community colleges give their students the ability to build a solid foundation for the careers that they choose. Take a look at Nevada State College's mission statement (here): "Through student-centered learning, Nevada State College emphasizes and values: exceptional teaching, mentoring, advisement;* scholarship; career and personal advancement; continuing education; and service to our community." The mission of research universities is discovery. Excellent research universities don't just disseminate already-discovered knowledge well; they build upon that knowledge with new discoveries. And these discoveries aren't the same as the important discoveries that industry produces. Industry-funded discoveries are intended, by definition, to develop industry objectives and bottom lines. University-based discovery advances our knowledge in the arts and sciences, and that discovery activity makes our teaching better. We can talk with our students about what our discoveries mean for our fields, and we can have our students participate with us in those discoveries. ** We are changing the fields in which we teach. (1) Good for community colleges with good graduation rates! Those high graduation rates are helping our economy recover from this deep recession by putting better-prepared employees in our workforce. (2) If UNLV's graduation rate is too low, let's figure out why. Is it that UNLV faculty members aren't doing their jobs well, or is it that, with the budget cuts that UNLV has already suffered, UNLV has had to cut back on how often it offers certain core courses? I know that the latter point is true, and I also know that many of us are picking up larger teaching loads than we used to have. I quit private practice in large part because I enjoy teaching students, and I know that my colleagues take pride in their teaching, too. But the idea that we should quit researching, unless someone else besides Nevada taxpayers foots the bill, means that we would quit making those discoveries that move our fields forward and enable us to give our students a different experience than they could get at schools without a research mission. Sure, I'm all for funded research--that research adds to a university's bottom line, thanks to the surcharge that the funding agency pays to the university for overhead. But not every field has the same access to funding sources, and we shouldn't stifle discoveries in the other fields. Advances in music, art, and dance will eventually find their way to Nevada's tourism industry. Advances in the liberal arts will make Nevadans better writers and thinkers. If we say, "make UNLV into a teaching institution," then we're creating a massive redundancy in the system and wasting money. We can have great institutions that have, as their primary mission, a teaching focus, and others that have, as their primary mission, a research function. Nevada needs both--and now, it needs both more than ever. *I'm assuming that "advisement" is a typo and that the College means "advising." ** The relative teaching loads in community colleges and research universities means that it's just that much more difficult for professors in community colleges to have time to conduct extensive research in their areas. How to render a Contracts professor speechless in class. 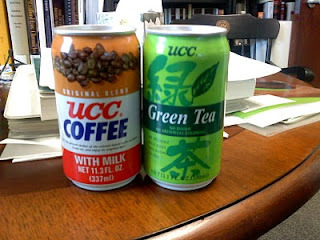 Give her samples of "UCC Coffee" and "UCC Tea" at the beginning of class. OK, I wasn't rendered entirely speechless,* but I did get a huge kick out of this surprise. I am really enjoying this semester's Contracts section! *As if I could ever be rendered entirely speechless. Read Prof. Warren's wonderful op-ed in today's Wall Street Journal here. BRAVA! See here for the post. I bought my first two copies (one for me and one for my dad) at Amazon (here). You can hear David Dow on NPR's Fresh Air here. One of the many examples of how nice Jeff Yates is! Jeff, thanks for the post welcoming my guest-blogging stint (here) on your wonderful blog, Voir Dire. I'm looking forward to hanging out with you in your slice of the virtual universe! And here's my first post (here). An 11 on the 10-point scale of stupidity. Normally, I give all Marines a great deal of respect and deference. I love those Marines I know well: that group includes my husband, my father-in-law, my brother-in-law, and many friends. So I get especially irked when I come across an op-ed by a Marine who has managed to put his foot, his leg, and that part of his behind in which his head is not firmly inserted in his mouth. That Marine is Mackubin Thomas Owens, and his op-ed this morning in the Wall Street Journal (here) just made my blood boil. The thesis of this ridiculous essay is that we can't have gays serve in the military because "[t]he presence of open homosexuals in the close confines of ships or military units opens the possibility that eros—which unlike philia is sexual, and therefore individual and exclusive—will be unleashed into the environment." Owens ties together his hogwash with fancy-sounding words, but it's still hogwash. Just insert "women" everywhere he discusses "gays," and you get a sense of what he's really saying. I know many Marines (and many conservatives) who would gladly disassociate themselves from Owens's remarks in this op-ed. So, when you read his hogwash, just know this: Owens stands apart. "Stupid" is not a hallmark of Marines or conservatives. He's giving both a bad name.